Do you have editors who know UK English, Australian English, US English, and Canadian English? What are your credentials? Is your company qualified to handle my manuscript? I'm sure my story will be a bestseller. If Scribendi edits it, I'll give you a percentage of the royalties. Even if a manuscript has the potential to be a bestseller or a major motion picture, it may be a while before you can attract the attention of an agent and a publisher. Because of this, we cannot accept such proposals, and we will settle for the fees described on our Authors page. If your book or screenplay does become a bestseller, the profits should go to you alone—you are the author, and it’s your work. I've used a certain style, regional dialect, or something else that's special in my book. You won't use a blind spell check or grammar check and ruin all of this, will you? No, we're used to seeing all sorts of styles, dialects, formatting, and other creative approaches. If we're not sure, we'll send an email and ask you. If there's something you don't want us to touch, just mention this when you fill in the "Special Instructions" section of our order form. Can I see a sample of your work? Do you offer a free sample? Absolutely! You can take advantage of the free 1,000-word sample edit that we offer to every new customer. If you haven't placed an order with us before and would like a free sample, just pick the type of editing or proofreading you want from our order page and then click Get a Free Sample and follow the simple steps. There are no strings attached. It’s as easy as that. We know your manuscript is important to you and that it's good to be able to "try before you buy" if you're thinking about sending us your work. You can also take a look at some of the academic journals in which our clients' articles have been featured and some of the published books Scribendi has edited. Unfortunately, because of our strict confidentiality policies, we cannot release the names of authors who have utilized our services or the titles of volumes we have edited. However, you can visit our Client Testimonials page to see what customers are saying about us, and we do have a case study program, where some authors have given permission to be featured on our website. I've got a really big manuscript and can't afford to have the whole thing done at once. Can I send it in sections? 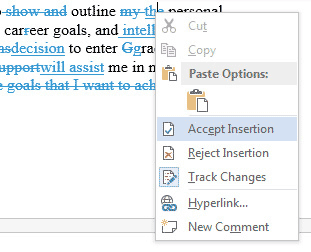 Can I have the same editor work on it all the way through? Yes and yes! You can send in your work in as many sections as you like—just make note of the editor’s code when the first order is returned so that you can use this code to request this editor on your subsequent orders. This will send the manuscript directly to your preferred editor. If they are available, they can work on each section of your manuscript. I've just had my work proofread or edited by Scribendi. May I know the name of my editor and/or put Scribendi down in my acknowledgments? We're thrilled and touched that you'd like to do such a thing, but we'll have to politely decline. It's your manuscript, and we want you to feel confident that the copyright is indeed all yours. We don't require anything for our work apart from the fees for services rendered. 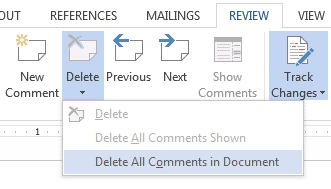 I submitted a file type other than MS Word, and I have my document back, but I can't see what you've changed. Why is that? 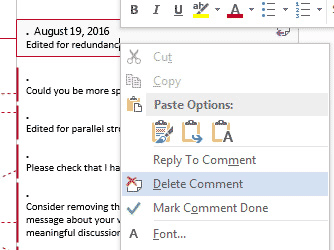 Unfortunately, very few word processing programs have anything similar to MS Word's Track Changes feature, which allows our editors and proofreaders to highlight changes in red so you can see them more easily. Our staff will have summarized their changes in their notes back to you, however, and you can compare what we've sent back to you with your original document. Can I talk to my editor? There are things I want to explain, or I want to see if the editor is on my wavelength or knows and likes the genre, etc. If you have questions after we've done some work for you, a customer service representative will be happy to relay your comments and queries to your editor and then send the answers back to you. However, we avoid having editors and clients talk to each other before or during the editing process, and here's why: Your readers won't have the benefit of a personal chat with you while they're reading your work. Your document or manuscript must be able to stand on its own merit, and your editor has to be able to review your work objectively. Also, when you choose your service from our many options, your manuscript will be sent to editors who are familiar with, and like, your kind of work. If you have any special concerns or requests, you should always include these in the “Special Instructions” section when you place your order. Assuming these are within the parameters of our service offering, the editor can then address these concerns when they are editing. May I quote what my editor said about my manuscript to promote my work? May I use Scribendi's name to promote my work? Unfortunately, we have to say no. The feedback you receive from your editor is strictly for the purpose of improving your manuscript; it is not intended for redistribution under any circumstances, as we are not in the business of endorsing or promoting specific manuscripts.